The 2017 Schwinn 270 MY17 Recumbent Bike offers the same high-quality features of the previous model (Schwinn 270 2013) but with a newly designed console that’s easier to use and has the addition of Bluetooth connectivity for seamless transition of your workout data to your smart phone/tablet for online performance tracking. Like the previous model, the 2017 Schwinn 270 Recumbent Bike offers 29 programs and 25 ECB resistance levels to keep your workouts varied and progressively challenging. The Schwinn 270 allows for 4 different user profiles and the wide variety of programs offered include profile, heart-rate, fitness tests, user defined and more. The 2017 Schwinn 270 MY17 Recumbent Bike’s console features dual track blue back-lit LCD screens for easy viewing of your workout data and goal-tracking. It displays stats such as time, speed, distance, RPM, calories, heart-rate, intensity, % complete and more. 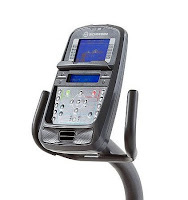 The handlebars on each side of the seat feature pulse grip heart-rate monitors and this recumbent bike is also telemetry-enabled for a wireless chest strap (chest strap not included) so you can easily keep track of your heart-rate to help you stay within your target heart-rate zone. Additional premium features incorporated into the Schwinn 270’s console include acoustic-chambered speakers, a USB charging port, media shelf, and 3-speed cooling fan. The 2017 Schwinn 270 is ergonomically designed and features a step-through frame design for easy mounting and dismounting. The recumbent seat features a padded base for comfort and vented backrest for airflow. The seat sits on an angled rail and is adjustable for different user heights via a simple to use lever with which you can adjust the seat either closer or further away from the pedals. The 2017 Schwinn 270 Recumbent Bike’s ECB resistance system coupled with a 3-piece crank and large oversized pedals (with adjustable safety straps) allows for smooth pedaling motion. 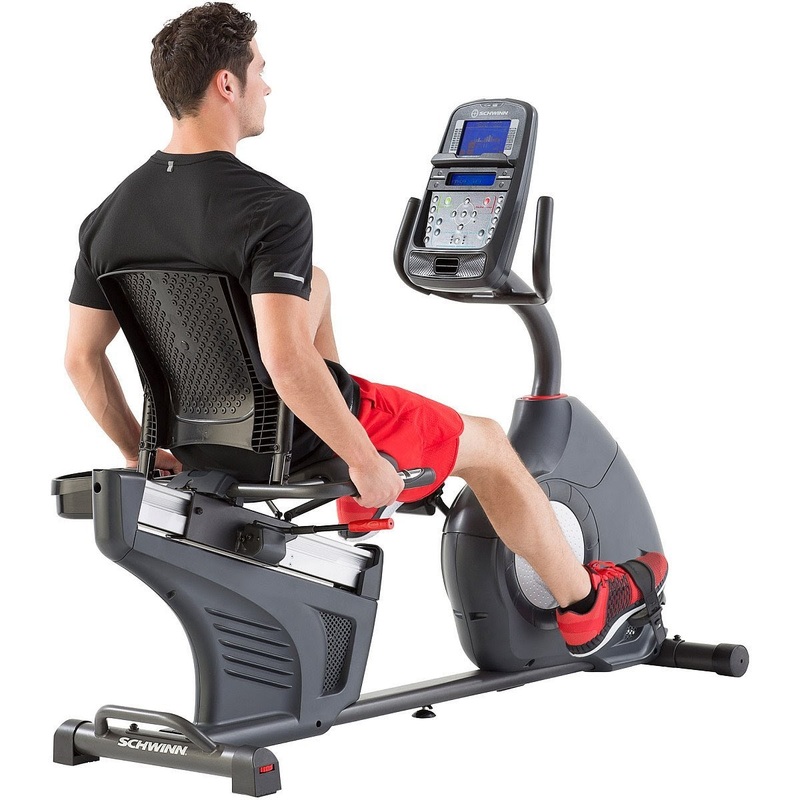 The Schwinn MY17 270 Recumbent Bike is sturdily built, allowing for a maximum user weight capacity of up to 300 lbs. Recumbent exercise bikes offer an effective workout with a more relaxed laid-back feel that’s low-impact and easier on your knees, hips and other joints compared to many other forms of exercise. Recumbent bikes are designed with a step-through frame and the seat sits lower to the ground compared to a traditional upright bike so it’s much easier to mount and dismount. The seat on a recumbent bike is typically larger and more comfy than an upright bike and features a backrest for additional support. Recumbent bikes are ideal for people of all ages and fitness levels and are particularly beneficial for those who are new to exercise or who are recovering from injury but have been advised to exercise in a low-impact way. Because of their ease of use and low-impact nature, recumbent bikes are one of the easiest forms of exercise to stick with in the long term to reach your fitness goals.